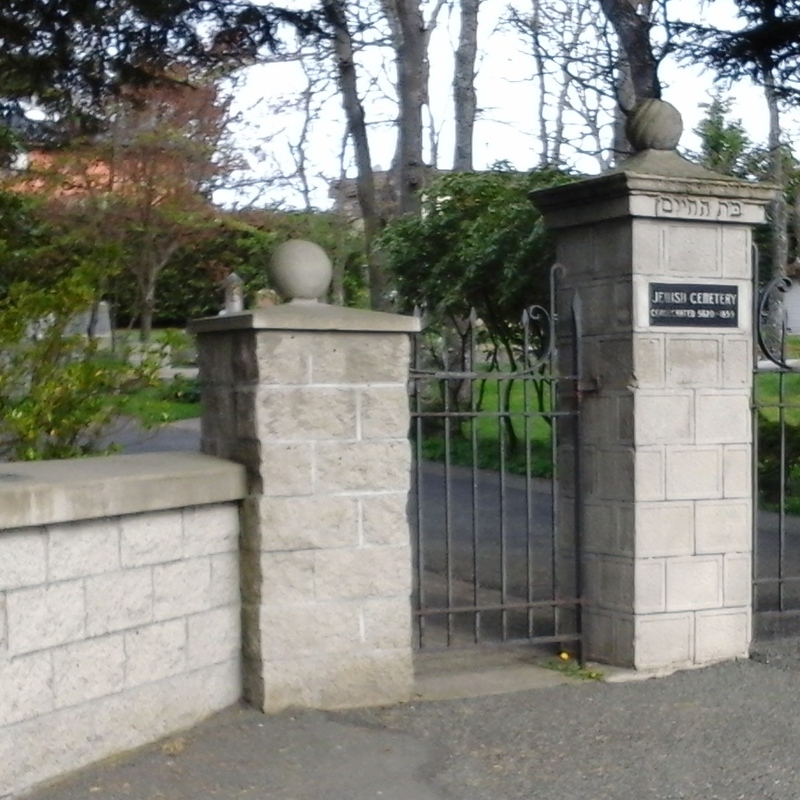 The Jewish Cemetery Green Space is in the city of Victoria, B.C., one of thirteen communities that form the Capital Regional District of British Columbia. Recognized as the oldest Jewish cemetery in western Canada, this green space along Cedar Hill Road and Acton Street is a beautiful place for rest. The granite gatepost for the grounds is marked with the Hebrew words Bays HaChayim meaning House of the Living. Interment began in eighteen hundred and sixty and has many memorable stories. Nine markings of the Freemason symbol can be seen on gravestones in this cemetery. Various designs and symbols like a maple leaf are seen other granite and sandstone gravestones. This peaceful green space contains some lovely old Garry Oak trees and several shrubs amongst the grass and rocky outcrops. A cedar hedge lines the southwestern border of the property which is also surrounded by a black wrought iron fence. You can get to the Jewish Cemetery Green Space from Patricia Bay Highway (which becomes Blanchard Street) . Turn east onto Hillside Avenue and continue to Cedar Hill Road. Turn right onto Cedar Hill Road past the corner mall stores and apartments. The cemetery will be on the right so stay slightly right to stay on Cedar Hill Road as the road divides around the church to become Fernwood Road. There is limited parking along Cedar Hill Road so look for parking along Acton Road, just south of the green space. A bus travels along Hillside Avenue from downtown to the University of Victoria.